Do you remember eating ice pops as a kid? They’re kind of like these cherry limeade popsicles, but they’re frozen inside plastic tubes instead of on a stick. I have fond memories of waiting impatiently as my mom cut off the top of an ice pop. Back then, it was the highlight of the day. 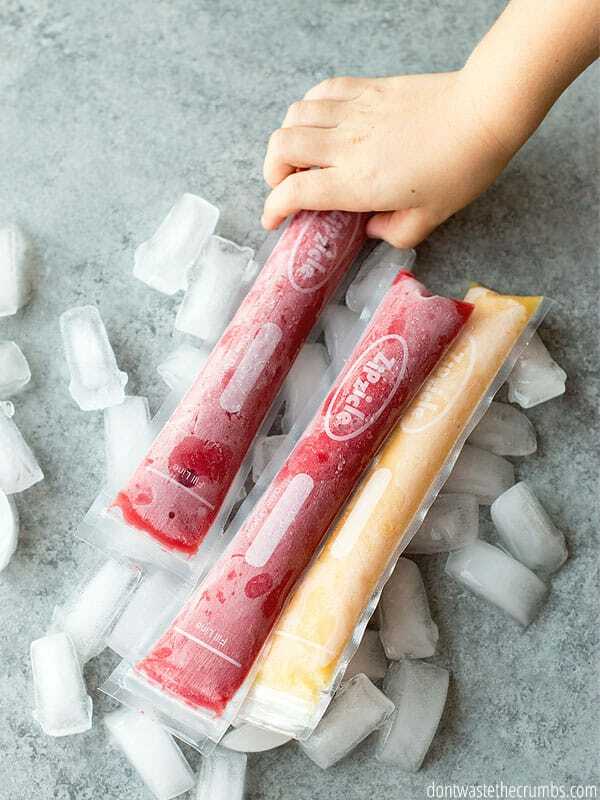 I want my kids to enjoy these frozen treats too – minus the large amounts of sugar and food dye – so this summer we’re making our own homemade ice pops! The idea dawned on me one day when all of the neighborhood kids were playing in front of our house and one of the neighbors brought over ice pops for everyone. She asked if my kids could have one, and I said yes. I had a sneaky feeling that they were mostly sugar and water with a little bit of “artificial and natural flavors” thrown in there, but I hadn’t actually read the ingredient labels myself so I couldn’t be sure. Plus both of my kids had eaten their lunch, dinner wasn’t anytime soon and behavior-wise we were having a good day. 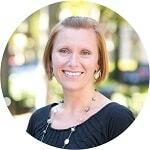 All the other kids were having some too, so I’d be lying if I said there wasn’t a little bit of self-inflicted mama guilt thrown in there too, but as I said earlier – I want my kids to have the same fond memories of summer that I had as a kid. Water, high fructose corn syrup, fruit juice (contains one or more of the following: apple, grape or pear juice from concentrate), contains less than 2% of the following: citric and/or fumaric acid, natural and artificial flavors, sodium benzoate and potassium sorbate (preservatives), red 40, yellow 5, yellow 6, blue 1. 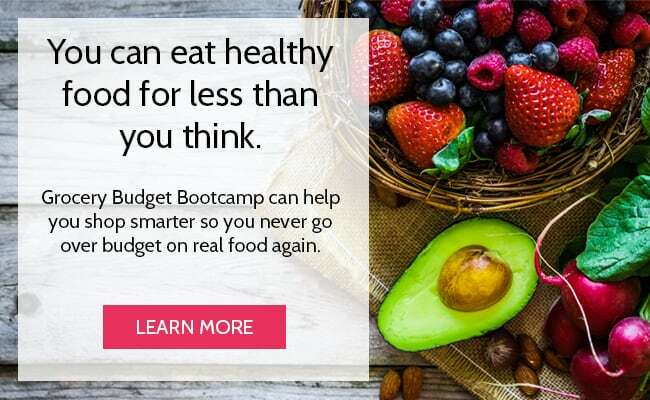 While I wasn’t really surprised to find a long list of ingredients, I WAS surprised to find THREE ingredients we don’t eat in our home: high fructose corn syrup, artificial preservatives and artificial food dyes. High fructose corn syrup is number two on my list of ingredients to avoid in foods. Artificial preservatives are also number four on that same list. Artificial food dyes aren’t specifically called out on the list, but we don’t eat them by default. When you aim to buy whole foods in the first place, and then limit the very few pre-packaged items you buy to those that DON’T have the top 5 worst offenders, you tend to naturally exclude food dyes too. As a health-conscious mom, I’m left with the decision to allow my kids to have free reign on ice pops all summer OR make homemade ice pops instead. Obviously, I chose the latter! I think homemade ice pops are quite possibly the EASIEST recipe I’ve ever made, ever. Really, that’s all there is to it! And my favorite part is that there’s nothing artificial or fake about them. It’s 100% purely blended fruit, and a perfect way to enjoy dessert this summer without fake sugar, preservatives and artificial food dyes. 1. Choose ripe, or just slightly over-ripe, fruit. The amount of natural sugar and flavor in fruit peaks when the fruit is perfectly ripe, so you want to pick fruit that is ripe right this moment. If you have fruit that is just starting to pass its peak, you can use that too. In fact, homemade ice pops are a great way to not waste fruit that is past its prime. The fruit can be fresh or frozen, since most frozen fruit is flash frozen when it’s picked ripe. If you choose frozen, let the fruit thaw first for best results. 2. Don’t add a sweetener unless it’s absolutely necessary. 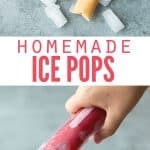 The whole point of making homemade ice pops is to avoid the excess sugar in the store-bought, so adding your own sugar to the recipe seems to be counterproductive. However, making a dessert that your family won’t eat doesn’t make sense either. To make tasty homemade ice pops that your family loves, start with ripe fruit. If for some reason your family doesn’t like them OR if the fruit itself isn’t very sweet, my first suggestion would be to mix/match that fruit with another that is sweeter OR one that you know your family likes. And if all else fails, you can add a small amount of honey or maple syrup to the pureed fruit. However, I personally recommend using this as a means of last resort. If my family doesn’t like a flavor we’ve made, we eat up what we have and simply don’t make that kind again. 3. Adding liquid can make blending easier and eating more enjoyable. 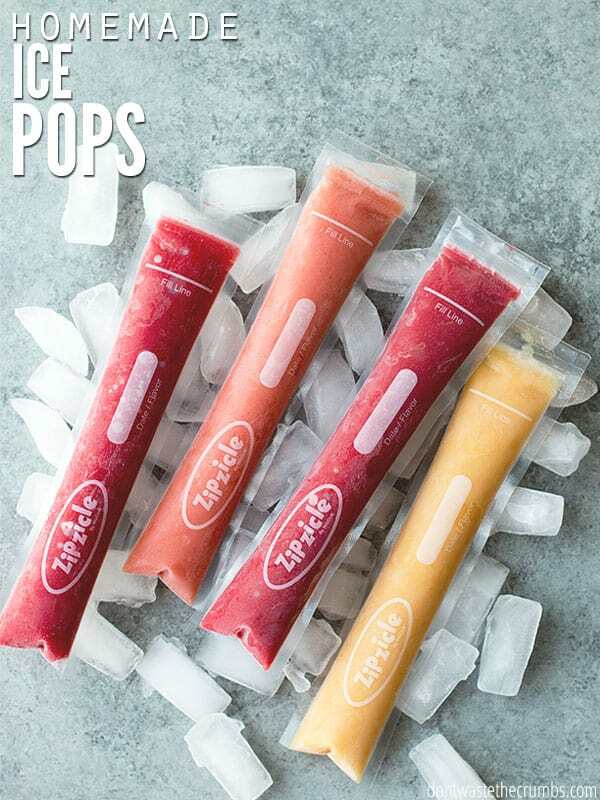 For the best homemade ice pops, you want your puree to be somewhere between thick and thin. A thick puree will resemble thin pancake batter and have a highly concentrated flavor. A thin puree will resemble slightly thick water and will convey that “icy” popsicle feeling more when they’re frozen through. The trick is to find the balance between the two. One way to do this is by adding liquid to thicker purees. You could add water, but in my opinion, that’s simply diluting great flavor. I prefer to add fruit juice, lemonade, flavored kombucha, whey or the liquid from canned fruit to thin some of the thicker purees. You could even add water kefir, coconut water or coconut milk too. If none of these liquids are available, try mixing with a fruit that is naturally juicy, like watermelon, orange, grapefruit, pineapple and peaches. 4. Have fun with the flavors! Mr. Crumbs really likes the pineapple ice pops and both of my kids like strawberry ice pops. We’ve also made mango, watermelon and will make blueberry and grape ice pops later this week. When I’m making a batch of homemade ice pops, I start with a flavor I know we like –strawberries for example. I’ll toss the strawberries in my high powered blender (adding a squirt of lemon or half an orange too) and make a few homemade ice pops of just that flavor. Before the strawberry puree is completely gone, I’ll add another flavor that compliments the first one. For example, adding blueberry for mixed berry ice pops. We’ll use up that puree, do a quick rinse and repeat the process with two other complimentary fruits, like pineapple and mango. You don’t have to rinse your blender if you don’t want to of course, but I did when we were specifically testing flavors. I might not going forward, just to skip a dish. The sky is the limit with the flavor combinations you can make, and you can even include some veggies in there too like carrots or spinach. I like to think that if it tastes good in a smoothie, it’ll taste good as an ice pop! I used clear plastic pouches from Zipsicle to make these because they most resembled the ones from the store. I thought my kids would enjoy that, being the new kids on the block. Actually, they look so much like the store-bought ice pops that one of the neighborhood kids asked if I could cut off the top for him! We’ve been using them for a few weeks now, and they seem to be holding up fine. However, they’re a bit tricky to clean at the zipper and they’re not labeled as dishwasher safe. If you go this route, I’d recommend hand washing with a small bottle brush. If these start to not hold up as well, I’ll likely buy these silicone molds instead. They’re dishwasher safe and leak proof too. 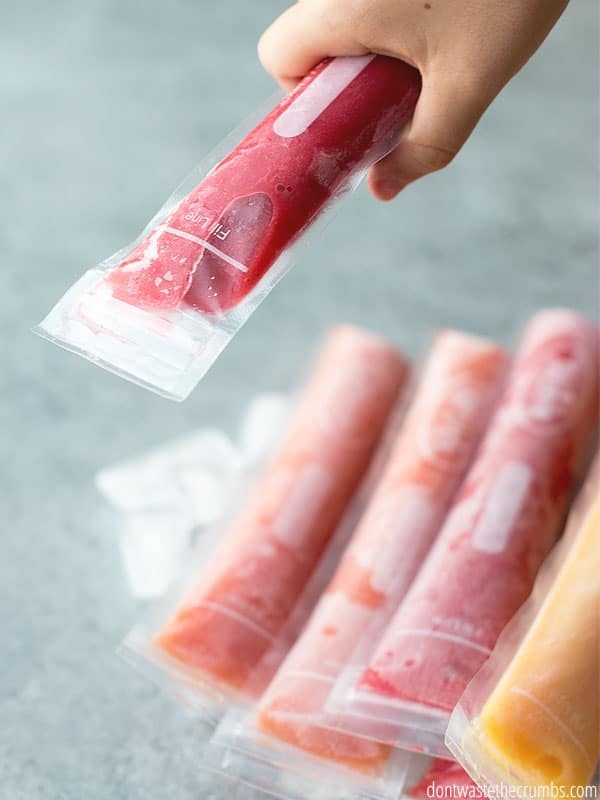 If you choose this route, either buy 2 sets or be prepared to wash often – your kids will go through homemade ice pops fast! Finally, using a small funnel made filling the molds really easy. You might be able to get away using a measuring cup with a pour spout, but I’ve used these funnels so often in the kitchen that they were a worthy investment for me. I’m estimating that 1 pound of produce will make at least 10 homemade ice pops. 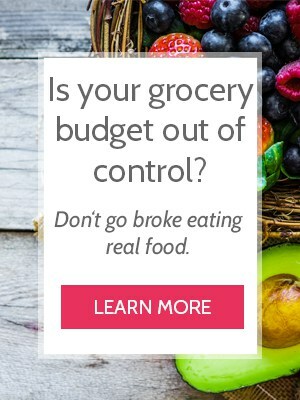 That means your cost for homemade ice pops could be as low as 10 cents each! Homemade ice pops bring back great summer memories! 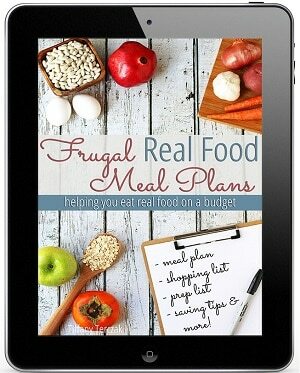 They are SUPER easy, SUPER delicious, and SUPER healthy! Ice pops are fairly inexpensive depending on what kind of fruit you buy. 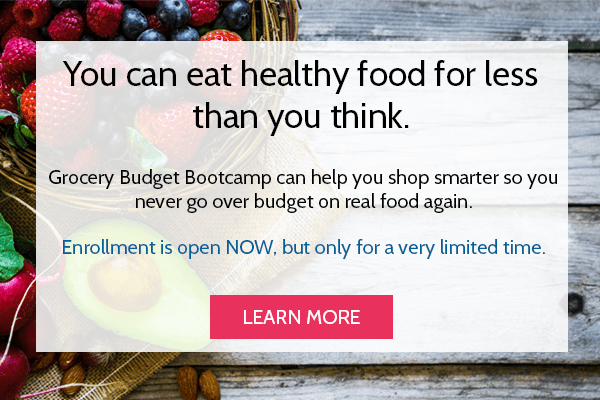 Aim for $1 per pound, shop the clean fifteen, and find great seasonal prices at the farmers market. I used these reusable Ziplock pouches like you see in the pictures. I also found these silicone molds that work great too. 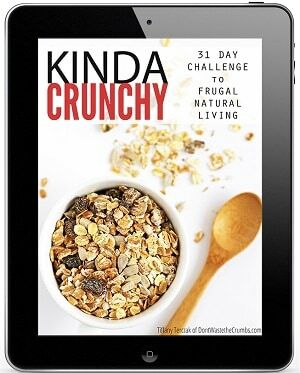 Combine the ingredients in a blender and blend until there are no chunks in the mixture. The consistency should resemble thin pancake batter, so use the tips above to adjust the thickness as desired. Using a funnel, pour the mixture into the reusable plastic tubes or silicone molds. Seal and freeze for at least 6 hours, or overnight. 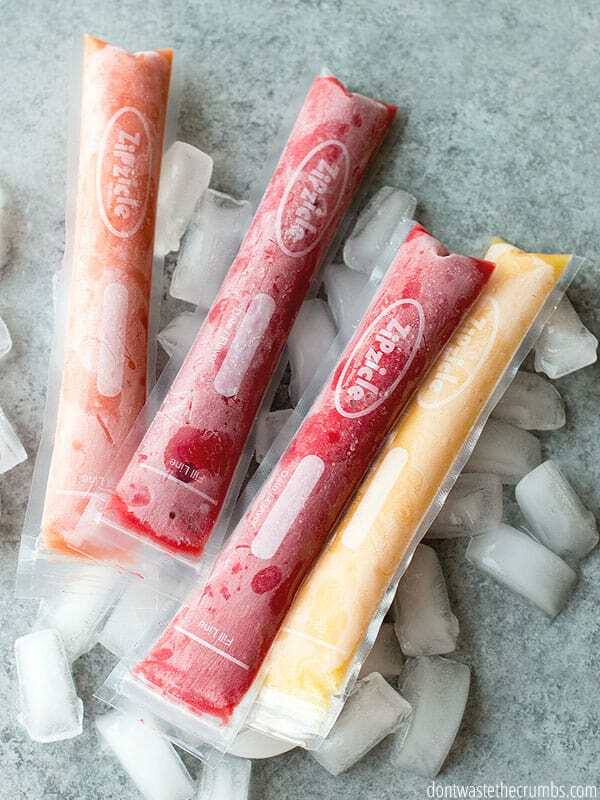 What would be your favorite flavor homemade ice pop? What a great idea! I didn’t know that there were zip top Popsicle bags. I will look into these. Thanks for sharing. This is such a great idea. I had to laugh, I told my 84-year-old mother about these and she said she wouldn’t mind trying them out. You could have knocked me over with a feather! So thanks for the idea from mom and me. Happy weekend to you, Tiffany, and your family too. This is EXACTLY what I need. Thank you! I can’t wait to try these out. This post came at just the right time for me when I was struggling to work out how best to do ice lollies this year. I’ve bought some of the silicone molds and will soon be having a go. Thank you! Thanks for the great idea! Ice sickles was not of interest to me….but I will you this for ice cube trays. Any time I drink some water I will add a couple or a lot of cubes to the glass first. It would also be great to add extra flavors to iced tea, with no sugar. Thanks very much. My granddaughters and I have been berry picking this month and we’re looking for new recipes to use the fruits of our labor in. This is so simple I can’t believe we never thought of it. We’ve made fruit ice cubes to use in our lemonaide. I will be searching for the zipsicle pouches. Thanks for this wonderful idea!! Fantastic and simple idea! Thanks Tiffany – these are definitely a healthy treat I can get behind, and not have to moderate (nearly as much)! I’ve been doing the same thing in our home for my toddler! He loves to eat pops and I really wanted to ensure that he was getting something that was healthy without added sweeteners. We use mostly strawberries and bananas here! wow my daughter used this idea to make some money over the summer thanks so much. How many popsicles do you get from this recipe. You get quite a bit Rose, it all depends on how much fruit you start out with. 1 pound of strawberries w/o anything else will give about 5-7 pops.